At least 50 percent of the employee’s total compensation is from commissions. In Peabody v. Time Warner Cable, Inc., the California Supreme Court recently considered whether an employer may allocate an employee’s commission wages from one pay period to other pay periods in order to meet the commissioned inside sales exemption. The Court unanimously held that “an employer satisfies the minimum earnings prong of the commissioned employee exemption only in those pay periods in which it actually pays the required minimum earnings.” In other words, a commission payment may be applied only to the period in which it is paid for purposes of determining whether an employee is exempt, and an employer cannot divide the commission payment across multiple pay periods in order to cure a shortfall. The Plaintiff in the case, Susan Peabody, worked approximately 45 hours a week as a commissioned account executive for Time Warner. Peabody earned a bi-weekly salary of $769.23 ($9.61/hour). She also received commissioned wages on a monthly basis. Peabody filed suit alleging she regularly worked 45 hours or more per week, but never received overtime because she was misclassified as an exempt employee. Time Warner insisted that Peabody fell within California’s commissioned inside salesperson exemption and thus was not entitled to overtime. Time Warner acknowledged that most of Peabody’s paychecks included only hourly wages and were less than 1.5 times the minimum wage. It argued, however, that commissions should be reassigned from the biweekly pay period in which they were paid to earlier pay periods in the month. Attributing the commissioned wages in this manner would satisfy the minimum earnings prong (#1 above). If Time Warner’s view was accepted, then Peabody’s monthly commissions on top of her biweekly wages would have been sufficient to bring her above the hourly minimum wage each month for the commissioned inside sales exemption. The Court, however, disagreed and held that a commission payment may be applied only to the pay period in which it is paid for the purposes of determining whether an employee is exempt from overtime. The moral of the story is that if you pay employees on a inside sales commission basis they are still required to be paid at least minimum wage for every hour worked in each pay period. Employers need to review their pay practices to ensure that inside sales commission exempt employees meet the minimum compensation threshold in every pay period. Employers should consider adopting biweekly or semimonthly payroll structures for both salary and commission payments or allocating a greater portion of income to base salary as opposed to commission in order to meet the minimum salary requirement each pay period. Keep in mind that an increase in the base pay will raise the bar for the second prong of the inside sales exemption above as the employee will still need to earn at least 50 percent of total compensation from commissions to maintain this overtime exemption. If a commissioned sales employee does not meet the inside sales exemption he/she is considered non-exempt and must be paid at least minimum wage (now $9/hr) for every hour worked in each pay period. Contact your employment counsel or HR consultant when you have questions about exemptions from the wage and hours laws. As the Peabody case demonstrates, misclassification lawsuits are on the rise and the law is constantly changing and being clarified. Keep in mind that this unique inside sales exemption only applies to employees covered by California Industrial Wage Orders #4 and #7. This exemption is not available to other Wage Orders. 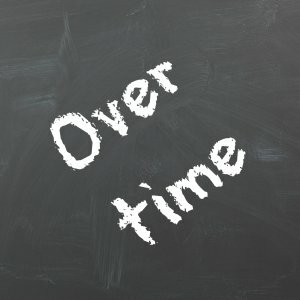 Inside sales employees who meet the overtime exemption above must still follow all the other requirements of the wage and hour laws, including recording hours worked and taking meal and rest breaks.